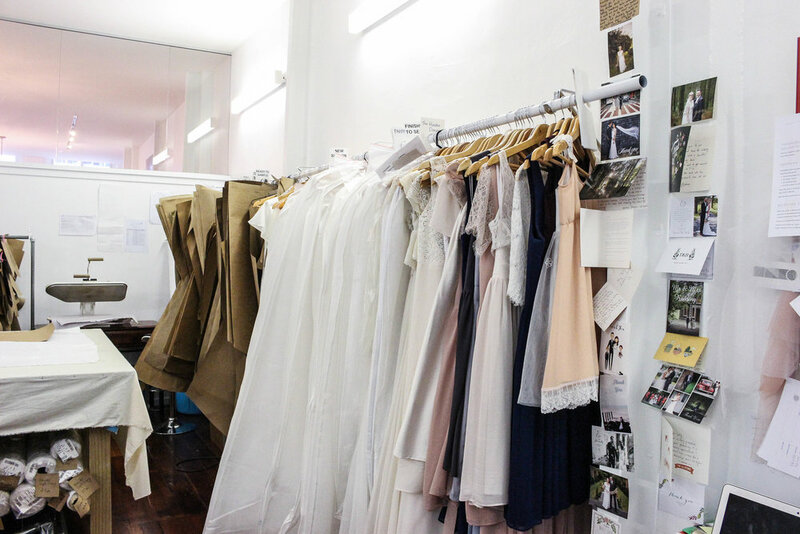 If you walk along Cuba Street, and up a little flight of stairs, you’ll find a heavenly shop called Sally Eagle Bridal. With romantic dresses and custom accessories, Sally has become the go-to atelier for women around New Zealand who want to choose something more youthful than the traditional pavlova style gown. I caught up with Sally a few weeks back over a hot bowl of chips from ‘The Lido’ to find out how she fell for bridal wear, where she gets her inspiration, juggling family and New York bridal fashion week. While there may not be high fashion in the family, there is an independent streak. Sally’s mother works as an occupational therapist and her father has his own business as a consultant for small companies. “Even when Dad was full-time working, he’d do bits on the side” Sally explains of her family entrepreneurial streak. How did she start making wedding gowns in Wellington? Sally found herself, unexpectedly, loving making dresses. She saw the gap in the market for her modern bridal gowns. 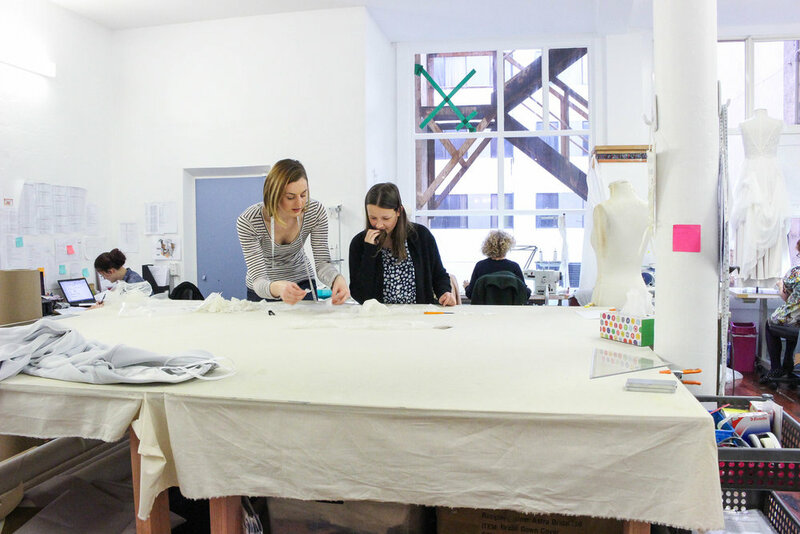 “When I started, the main options were strapless ruched dresses made overseas. Everything was quite stiff and satiny. I wanted romantic, floaty, and lacey” Sally explains. She started a website and went from there. Starting with a studio on Willis Street, Sally’s business has grown and grown over the seven years she’s had it. It now occupies its current location on Cuba Street. “The business side of my journey has been unexpected. There is so much more involved than just making pretty dresses. There’s so much to learn” Sally says laughing. She has been lucky enough to get help from her husband Karl, with his business brain, who pays attention to the tricky side of the business. He now works 4 days a week and one day a week on Sally Eagle Bridal. How does she juggle work and family life? “Having to speak in front of people or confront people. I’ve always been a shy person but I’ve had to be less so with the business. Sometimes I ask Karl to call, but he says ‘No, you have to do it!” Sally laughs. What does she love about bridal fashion now?